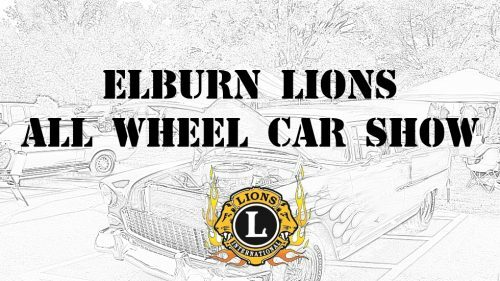 8:00 am to 3:00 pm Elburn Lions. The Annual Fall Classic All Wheel Car Show is a fund raising event that takes place the first Sunday in October. Almost 300 – 400 Cars and Motorcycles take part come rain or shine. We host a Saturday Driving Cruise geared toward couples the day before with a destination followed by a great steak dinner held at our club house. 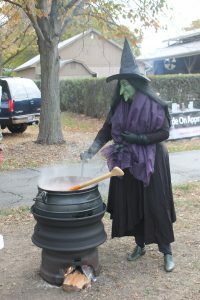 Our Sunday All Wheels Car Show is held on our beautiful grounds each year and is geared toward family interests that include free chili while it lasts served by an authentic festive witch from a cauldron heated over a wood fire, pumpkin decorating for the kids, craft show, swap meet/ vendor space available, DJ Music by “ Carousel Sound”, Children’s playground. Sporting Events on our Flat screen TV’s inside club house. Donuts, Coffee and Drinks, full concessions (Provided by the Leos- the youth division of our club) available to purchase including a cash bar. There will be a front engine dragster that runs promptly at noon and a great display of amazing automotive historical and custom vehicles. We take advantage of being one of the last shows for the season and host our Best of the Best competition where Best of Show vehicles from the area compete to be the best custom or stock examples. Past winners have gone on to compete on a national level.